There are lot of features of your Android Lollipop phone. Most of the time you need to create multiple user accounts in your Android Lollipop just like computer. 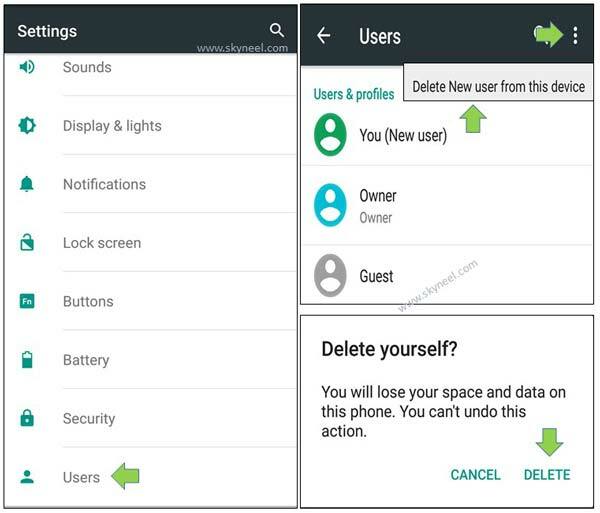 Today we have to discuss how to add or delete new user account in Android Lollipop. But new Android phone users don’t try to use that feature due to the fear of corrupt your phone. We need to create a new user account in Android phone due to protect and keep safe our personal account with others. You will be able to easily add or create new user and guest account. You can also change the account settings and also delete user account as per your need. There are three types of account in your Android Lollipop: Owner, New user and Guest. Owner account always has administrator rights while new user account has limited rights on your Android Lollipop. If you have Android Lollipop operating system on your phone then you will be able to get advantage of this feature. With the help of this feature you will be able to easily add new user or guest account, delete or edit account settings as per your need. 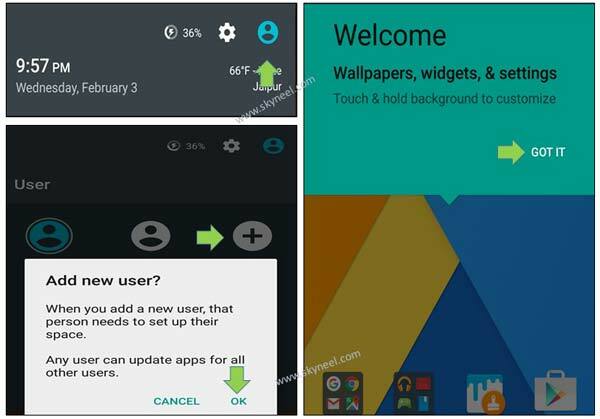 If you want to add or delete new user account in Android Lollipop then you have to take few simple steps. Step 1: Tap on the users account button which is located on top right corner on your Android Lollipop. Step 2: If you want to add new guest account then tap on the “Add guest” button. If you want to add new user account then tap on the “Add user” button. Now your new account activation process will be started and you will automatically switch to new account. Now you will get a welcome screen where you will be able to easily set wallpapers, widgets and other settings as per your need. Step 1:Tap on the “Settings” option on your Android Lollipop. Step 2: Tap on the “Users” option which is available in “Device” group. Step 3: Tap on the three dot button which is located at the top right corner. Step 4: Tap on the “Delete New user from this device” option. Step 5: Again it will ask for confirmation are you want to delete user account. If yes then tap on the “Delete” button otherwise tap on the “Cancel” button. Note: After delete the new user or guest account your control automatically switch to “Owner” account. I hope this article will be helpful for all those users who want to add or delete new user account in Android Lollipop. If you have any suggestions regarding this article then write us in the comment box. Thanks to all.